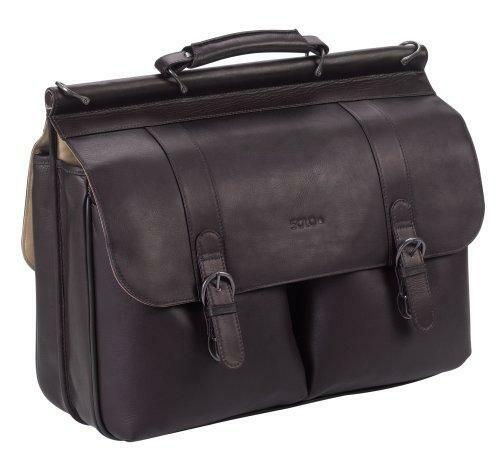 Leather portfolio has padded laptop pocekt with velcro closure that holds most 15.4" laptops. Orgainzer pocket compartments. Rear pocket contatins an accordion fan file. Adjustable/removable shoulder strap. * Rear pocket contatins an accordion fan file.